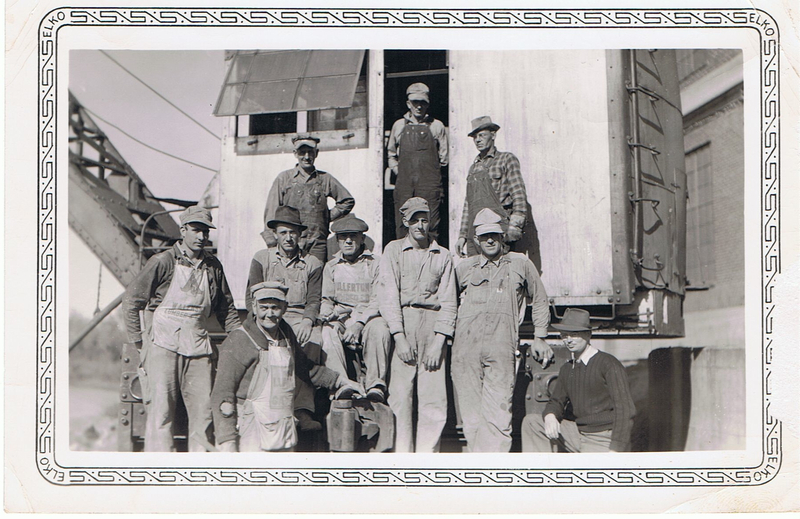 Henry Adam (seated at center) at work, Sioux City, Iowa, ca. 1930-40; digital image 2010, privately held by Melanie Frick, 2015. A carpenter Henry remained until his death. On 28 March 1944, Henry suffered a fatal heart attack in Long Beach, California, where he had been a resident for less than a week.5 He had likely pursued work at the US Naval Dry Docks, later the Long Beach Naval Shipyard, as the United States was still in the throes of World War II. His letter, written less than a year prior to his death, documents this final chapter of his life. 1 “Henry J. Adam,” undated clipping, ca. March 1944, Sioux City [Iowa] Journal; Adam Family, privately held by Melanie Frick. 2 “World War II Liberty Ships and the Oregon Shipbuilding Corporation,” USA Military Medals (http://blog.usamm.com/story-world-war-ii-liberty-ships/ : accessed 15 June 2015). 4 1910 U.S. census, Woodbury County, Iowa, population schedule, Sioux City Ward 1, enumeration district (ED) 175, sheet 21-A, p. 1920 (handwritten), dwelling 420, family 626, Henry Adams; digital image, Ancestry.com(http://www.ancestry.com : accessed 15 June 2015), citing National Archives microfilm publication T624, roll 429. 5 Los Angeles County, California, death certificate no. 2744, “Henry J. Adams,” 28 March 1944. This entry was posted in Family Correspondence and tagged 1940s, Adam, carpenter, correspondence, family history, genealogy, Iowa, Oregon, Sioux City, World War II on June 17, 2015 by Melanie Frick. Awesome letter! Thank you for sharing. Are you named after his wife Melanie? I love it when people are named after family members. My middle name is one that many women in my family share. Both my kids’ middle names honor an older family member who passed around the time they were born.